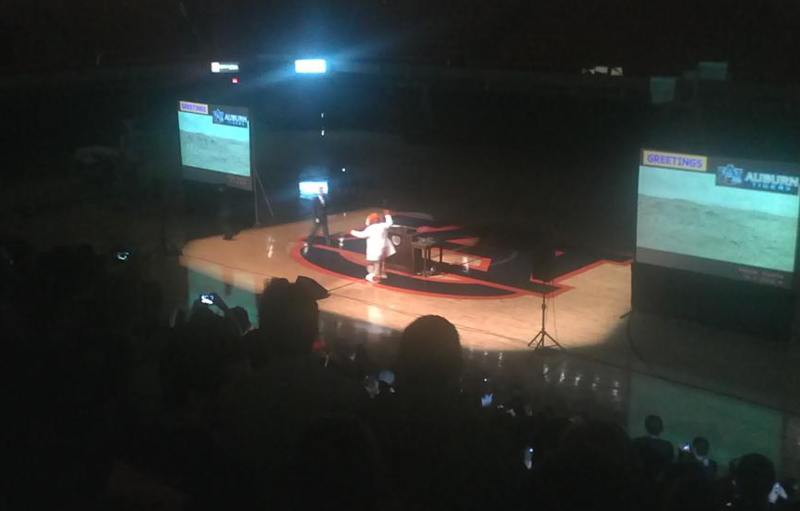 Bill Nye was in Auburn Thursday night for a UPC event at Auburn Arena. He talked about space exploration (Mars and such) and climate change and how Auburn students would change the world—at least we guess that’s what he talked about. When Aubie’s around it’s hard to pay much attention to anything else (just ask Girl Talk). Reporting and bottom photo by Clint Richardson, top photo by Karim Ali. 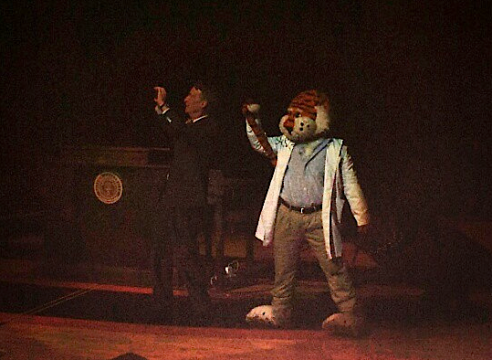 Related: Aubie crowd surfs at Girl Talk, Lupe Fiasco concert.